Enjoy Claire Farrell's Books? Tell us Why and Win a Free Book! Welcome to Claire Farrell's BookGorilla Author Page! We're working hard to bring you the best deals ever on Claire Farrell's Kindle books. If you’re a Claire Farrell fan, we'd love to have your help in making this author page special. Tell us, in no more than 150 words, why you think Claire Farrell is great. Use this webform to send us your submission, and if we select yours we'll offer you one of Claire Farrell's books or a Kindle Gift Card as a free gift! Thanks! Please enter your email address and click the Follow button to follow Claire Farrell! *Best read after Demon Dog and before Tethers* When an incident on werewolf territory leads to a human death, Phoenix flees with the culprit. He thinks he’s on a quest to save a life, but he slowly discovers a part of his past that had been erased forever. 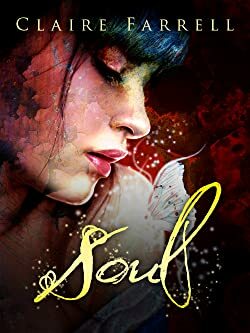 Best read after Tithes (Ava Delaney: Lost Souls #3)The twins have finally returned to their father, but they discover that plenty has changed in their absence. All three have secrets they want to keep hidden, but the return of a troublemaker forces them to face their problems together—even if it breaks them. A collection of dark flash fiction set in Dublin's inner city.A mixture of some urban fantasy and loosely related urban fiction, this collection contains strong language and violent scenes.R-Rated.